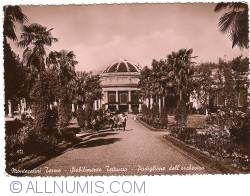 Montecatini Terme is an Italian districthe in province of Pistoia in Tuscany, Italy. The most important center in Valdinievole. The town is located at the eastern end of Piana di Lucca and has a strong vocation for tourism, as well as industrial and commercial industries based around the spa, which in turn has increased the interest for hotel accommodation in the region.